Llámanos al 1-855-298-5335. ¡Te atendemos en español! The award-winning Hopper DVR from DishLATINO® is the HD DVR for you. It lets you record up to 2,000 hours of shows and up to 16 shows at the same time. The Hopper also lets you find shows by title, filter HD channels only, and personalize your TV experience. The Hopper is compact and can be placed behind your TV. It also lets you pause a show in one room and resume the same show in another room. You can also enjoy a wide selection of On Demand movies. Recording capacity varies. 2000 hours based on SD programming. Record ABC, CBS, FOX, and NBC plus four additional channels. Customer activation required. Super Joey required. Additional monthly fees apply: Hopper, $10; Joey, $5; Super Joey, $10. Get HD FREE for Life® with DishLATINO® and enjoy your favorite channels in crystal-clear HD. 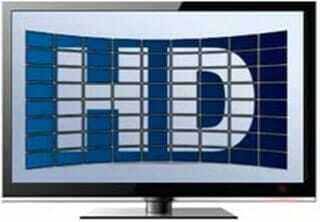 DishLATINO® offers the best selection of HD channels. Whether it’s sports, movies, documentaries, or cartoons, with DishLATINO®, there’s something for everyone. *All offers require credit qualification, 24-month commitment with early termination fee and AutoPay. After 3 mos., you will be billed $20/mo. for Showtime® and DISH Movie Pack™ unless you call to cancel. The apps from DishLATINO® make your life easier and can be downloaded for FREE. Among the many options available, you will find interactive sports, weather, and customer service tools. For example, Game Finder allows you to search for every available game at once so you never have to miss your favorite team play, The Weather Channel app helps you keep up with the weather, and the Customer Support app lets you access your account, pay bills, and add channels from the comfort of your own home. The Customer Support app requires a phone line or broadband connection. Get the best series and movies with DISH premium channels. With a qualifying DishLATINO package, you’ll get SHOWTIME® and DISH Movie Pack™ FREE for 3 months. You can enjoy DISH Movie Pack™ FREE for 3 months when you order your DishLATINO® package today. Get up to 13 movie channels and enjoy movies On Demand by connecting your DVR to a broadband connection. And, what?s more, you can access this content on your phone, tablet, or computer with the DISH Anywhere™ app. Services are not available on all receiver models. Some interactive features require phone line connection. Access to some interactive features may be limited if you are being billed by a third-party billing agent.